Center for Digital Innovation in the Humanities – Trevor Hoag Ph.D.
For humanities students to succeed in competitive job markets, they will not only need critical thinking, reading, and writing skills, but advanced techno-literacy and experience with collaborative invention in twenty-first century working environments. Acknowledging the importance of developing skill-based and cooperative learning in order to better meet the needs of our students, Christopher Newport University’s (CNU) Center for Digital Innovation in the Humanities (CDIH) will provide both the physical space as well as the digital tools and resources that promote transformative thought and increased exposure to digital writing, information literacy, and creative expression via new media and other technological means. As a physical site to house the newly-created Digital Humanities minor (https://dwilicnu.wordpress.com/digihumanities/minor-program/), the CDIH will bring together faculty and staff from across the university — English, Communication, History, Fine Arts, Theater, Computer Science, Library, and more — to build collaborative and interdisciplinary opportunities for students of all majors. It will also serve as a space for technological pedagogical support for faculty, a lab for developing new applied technologies, as well as finding novel uses for pre-existing devices and platforms. Diane Zorich defines the Digital Humanities Center (DHC) as a space “where new media and technologies are used for humanities-based research, teaching, and intellectual engagement and experimentation.” This includes intellectual pursuits ranging from the computational analysis of texts to reimagining writing in relation to broadcasting, mapping, gaming, multimedia, online publishing, community intervention, and beyond. DHCs foster inventive scholarship and knowledge creation across the humanities and show how new media and digital technologies have the potential to change the humanities’ disciplines and subfields. They provide students the concepts and vocabulary necessary for contributing to on-going conversations about how the digital has changed what it means to be human along with suggesting novel answers to pragmatic issues regarding the status of print culture and the value of copyright. DHCs likewise foster the pursuit of electronic literacy or “electracy.” Electracy entails familiarizing students with existing digital projects in the performing and literary arts, techniques for archival storage and retrieval of information, communication across varied platforms, production of coded scripts and aesthetic expressions, as well as multimodal reading and writing. 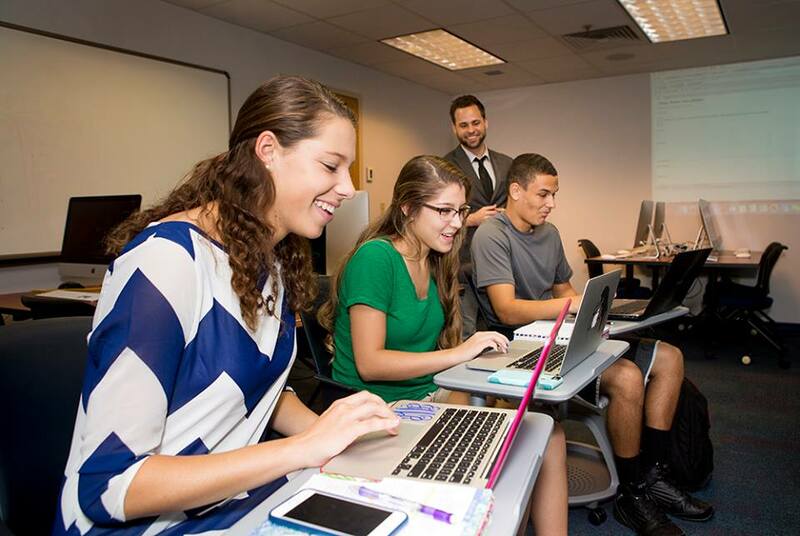 As one of the first DHCs at a small liberal arts college, CNU’s CDIH will set the standard — especially among its aspirant peer group in the Mid-Atlantic region — for promoting and incorporating the digital in university learning practices. Much like existing DHCs at research-driven universities, including UCLA’s Center for Digital Humanities, University of Nebraska’s Center for Digital Research in the Humanities, the University of Texas at Austin’s Digital Writing and Research Lab, and Columbia University’s Heyman Center for the Humanities, the CDIH will emphasize across-the-disciplines research and faculty-student projects with a focus on the changing nature of humanities study in this time of great digital remediation. It will likewise serve as a forum for intellectual discussion, debate, and presentation of ideas amongst students and scholars for articulating the theoretical significance of humanistic pursuits via multimodal means, exploring the significance of contemporary networked thought. With an innovative classroom layout and series of technological interfaces, the CDIH will encourage an immersive, collaborative teaching and learning space to emerge. The first phase of creating the CDIH will involve remodeling current space in CNU’s Trible Library. Specific tables and chairs, designed to create either/both a series of circles or semicircles, will need to be ordered. These tables will also be outfitted so that computers lay flat until use in order to facilitate classroom communication. Keyboards will be wireless, but all computer hardware will be wired so they can project content onto one of four screens that will be placed around the room. A mobile instructor-center will also need to be built so that classes can be facilitated in a number of dynamic configurations. The second phase of implementation will involve building the software collection and storage space to house both student- and faculty-created digital projects. Consulting with experts from both inside and outside the university, along with library, media, and information technology staff, will promote the acquisition of software and creation of adequate storage — for present and future use — to meet the needs of all parties involved. The CNU Media Center in particular, also housed in Trible Library, will be an integral part in the aforementioned development. Finally, there will need to be a small dedicated full-time and part-time staff to help run the center, especially during open lab hours, and to provide training and support for faculty and students. The CDIH plans to have an intense web presence, including social media outlets, and has already piloted several of its key features through the Digital Writing and Information Literacy Initiative (DWILI) (https://dwilicnu.wordpress.com/). DWILI features an emergent library of syllabi, lesson plans, teaching technologies, and digital texts — and is quickly, digitally integrating existing entities across CNU including course/student blogs and websites, the student literary magazine, undergraduate research journals, and more. DWILI features an instructor contract that will be used as a model for those who look to teach in the CDIH, and has a multifaceted mission statement that will serve as a model for diverse digital initiatives in other colleges across the university. One long-term goal of the CDIH ultimately is to hold workshops, faculty training, and student summer institutes/internships in digital humanities. To enhance collaboration opportunities further, the CDIH will seek to house conferences open to any interested students and faculty and share projects and planning with DHCs from around the region, country, and world. CNU’s CDIH will be a student-centered, pedagogy-forward, interdisciplinary meeting place for inventive collaboration to occur. This will give students the experience and technological skills needed for outbound real-world success in any field.